On Sept. 12, during both lunches, the clubs of Palo Verde’s 2018-2019 school year came out to introduce themselves to students. If you couldn’t make it, don’t worry — here’s a recap. 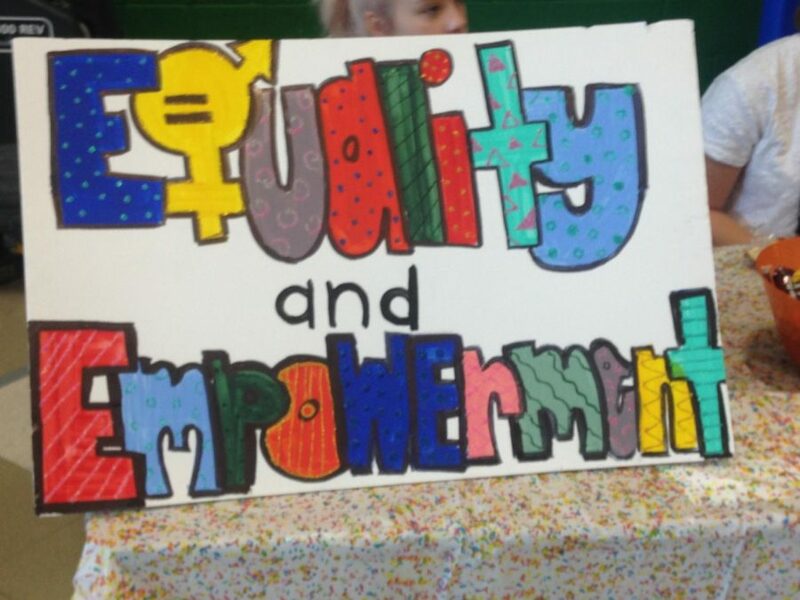 Equality and Empowerment Club – Two students, Kallie Stevens and Mia Heavner, organized an empowerment club in their junior year, which has expanded greatly. This year they plan on doing daily activities, bringing guest speakers, having discussions, and much more. They meet on the second Thursday of every month in Room 204. Bible Club – In Bible study, they have many activities involving the scripture. They meet every Monday of every week in room 220. Chess Club – They play games in a comfortable environment and go to competitions to show their skills. They meet every Monday and Tuesday in room 905.
International Club – Learn about countries, play activities, and eat different food from around the world. This club meets on the second Wednesday of every month in the cafeteria. Science Club – There are three different sides of science club: the fun-lab science, competition, and robotic. This club switches their topics weekly. If you like science, then science club is for you. They meet every Wednesday in room 903. Random Acts of Kindness Club – To spread kindness to every student in Palo Verde is the goal of this club. The people involved collaborate on ways to make the school a better place. They meet in room 402 on Thursdays. Their first meeting is on Sept. 18. Students Demand Action – This is a new club being introduced to Palo Verde, where students speak up about gun violence and take a stand against violence in schools. There has been no official date of their first meeting, but they plan on meeting on Thursdays. Red Cross Club – It is just as it sounds, helping the community in projects just like the Red Cross team. For more information, attend their first meeting on Oct. 4. Creative Writing Club – If you enjoy writing and discovering new ways on how to improve your skills, join creative writing club. They meet every Thursday in room 201.